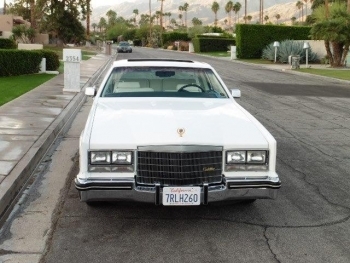 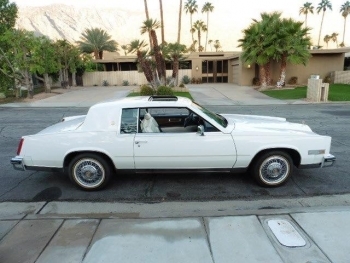 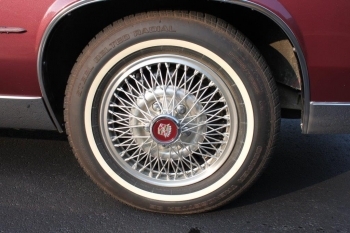 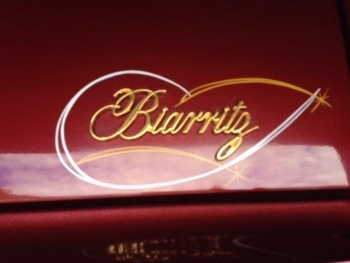 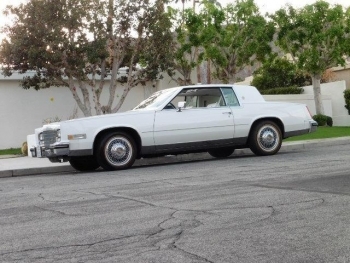 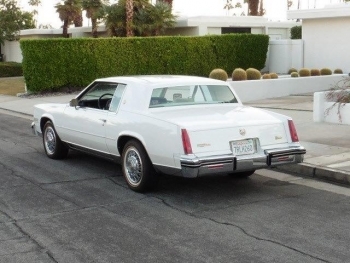 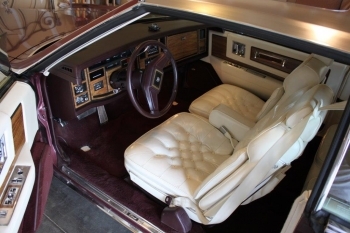 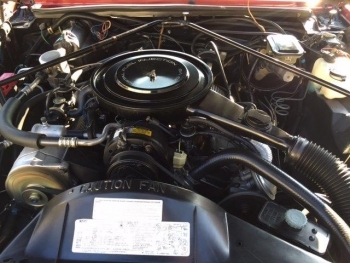 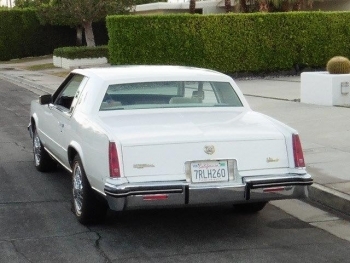 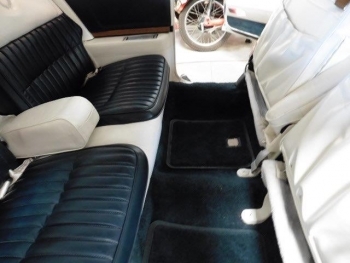 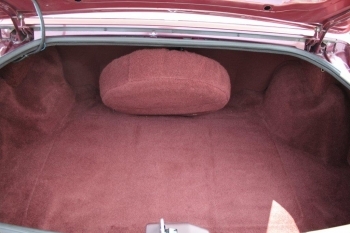 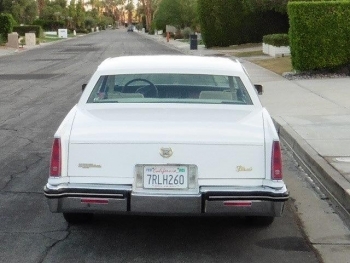 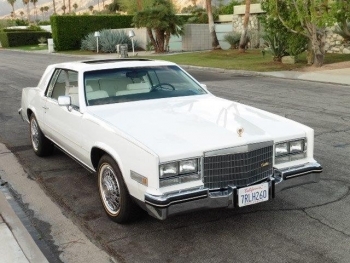 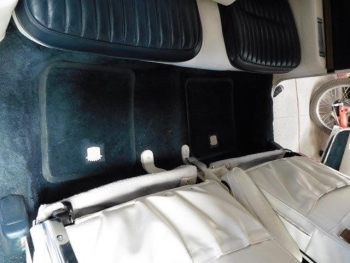 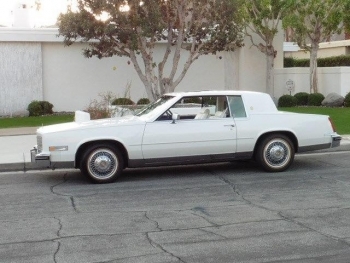 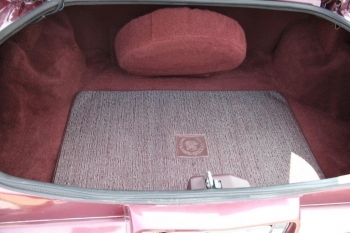 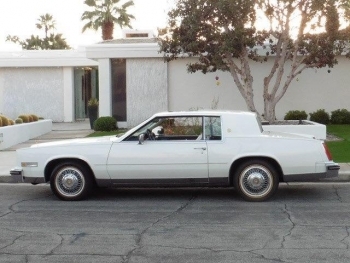 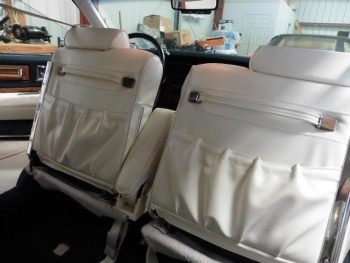 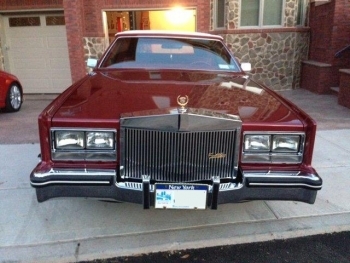 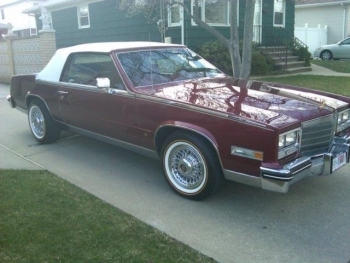 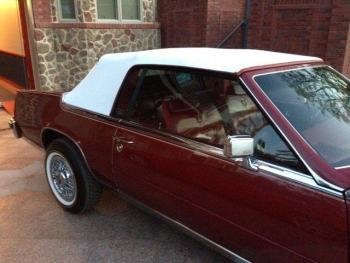 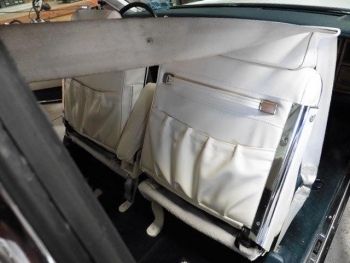 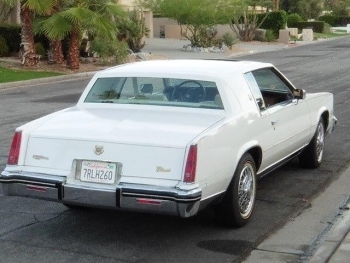 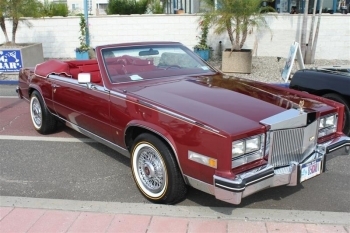 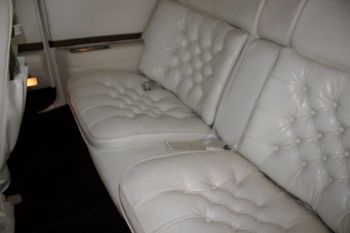 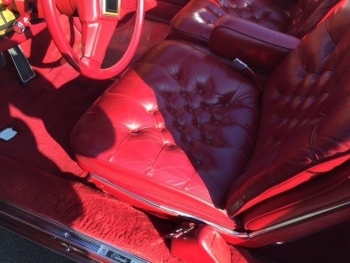 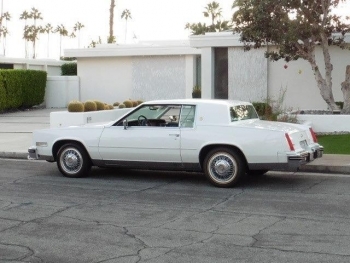 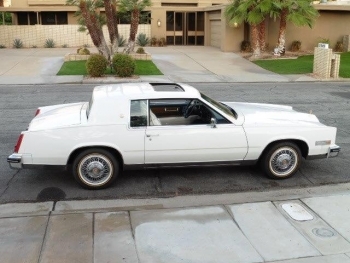 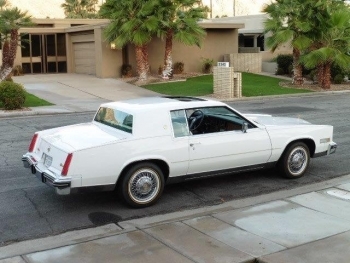 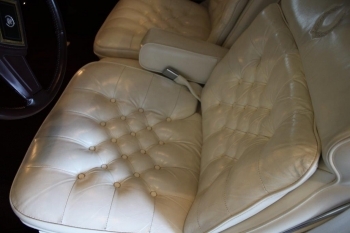 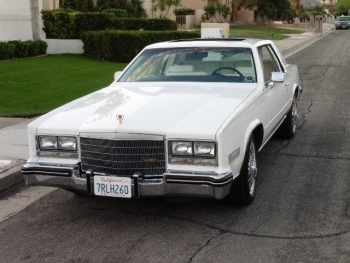 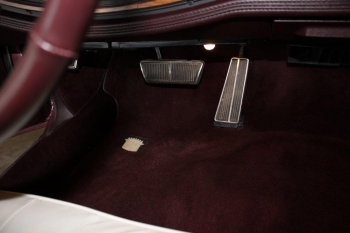 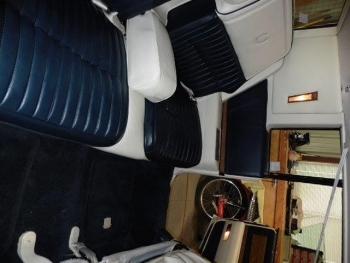 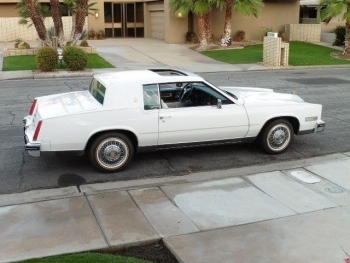 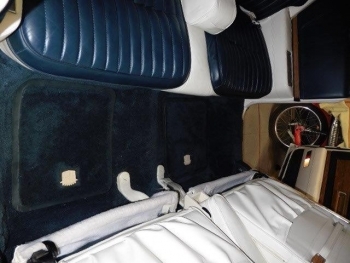 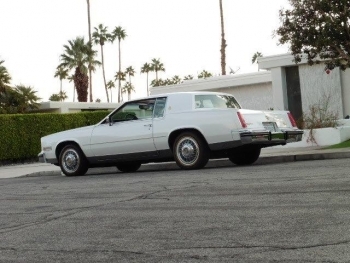 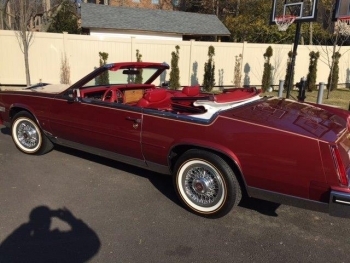 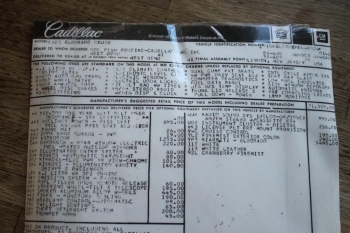 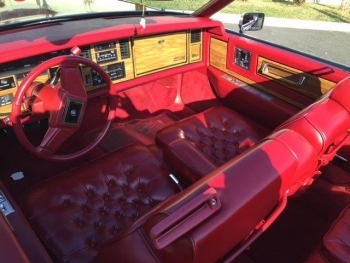 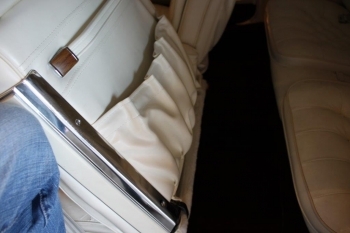 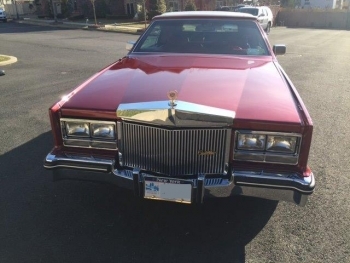 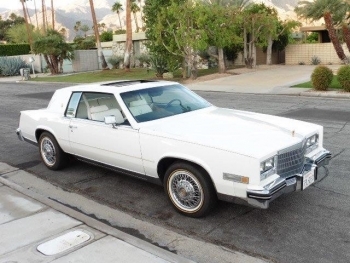 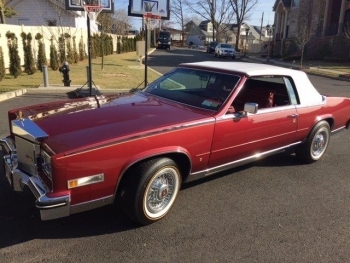 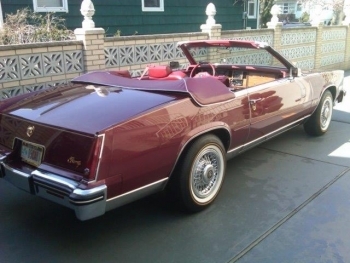 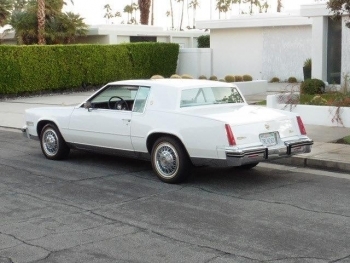 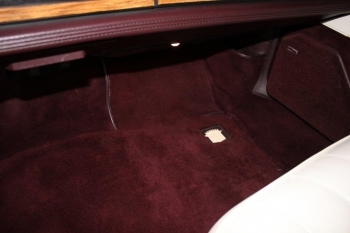 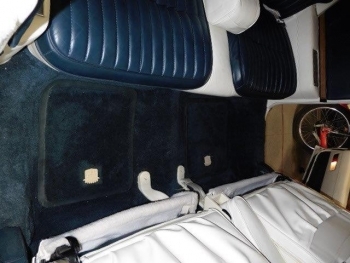 1985 Cadillac Eldorado Biarritz Convertible, Red with 50-50 soft Carmine leather 6 way power seats, white top, matching red dash, carpets and top cover. 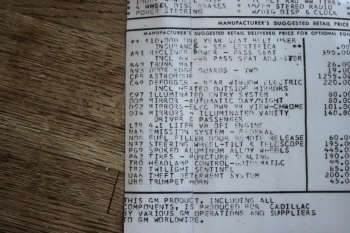 tilt and telescope wheel, AM/FM stereo radio, cruise control, rear window defogger, recliner power passenger seat, recliner manual driver seat, electric door locks and windows, Guidematic headlamp control, Twilight Sentinel, Cruise Control, theft deterrent system, mirror illuminate passenger vanity, controlled-cycle wiper, remote control trunk, automatic climate control, vogue white walls mounted on Real Wire Wheels, undercoat since new. 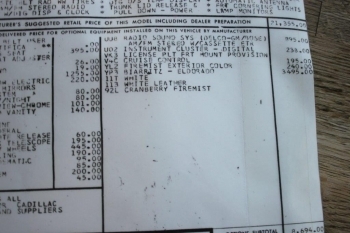 The original grill comes with the car. 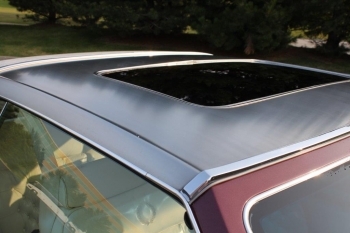 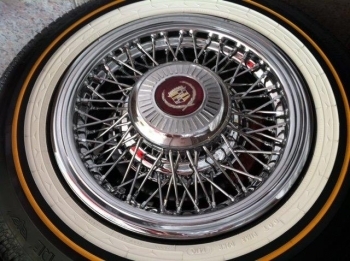 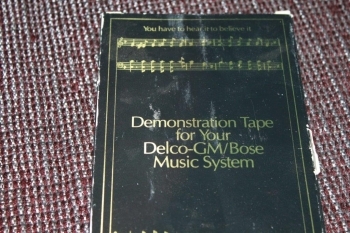 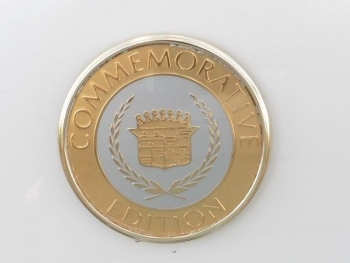 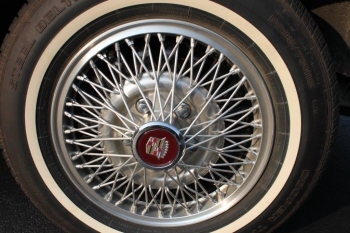 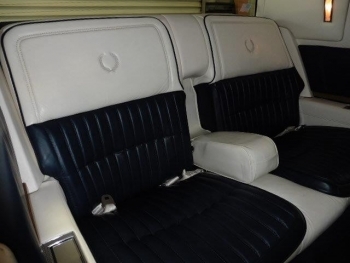 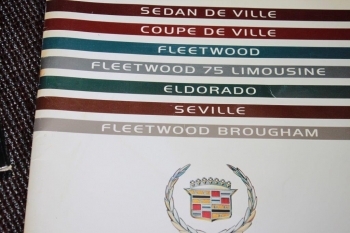 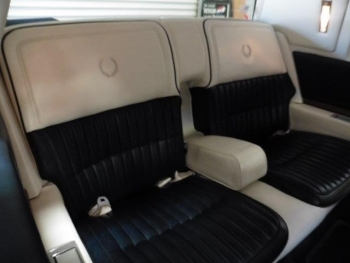 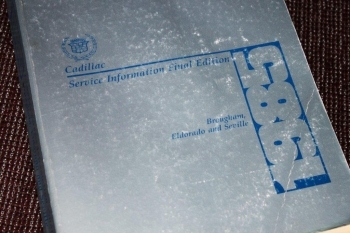 This is a Limited Edition of 2300 manufactured by Cadillac. 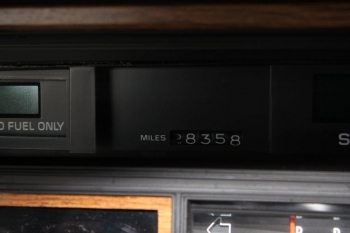 11,00 Original Miles. 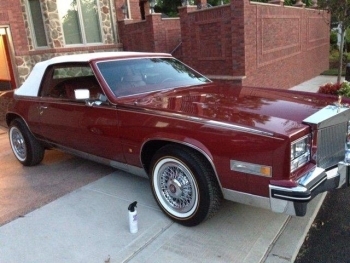 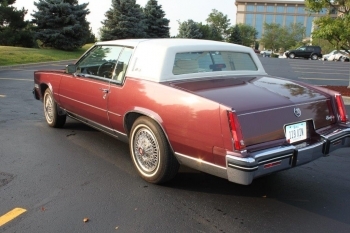 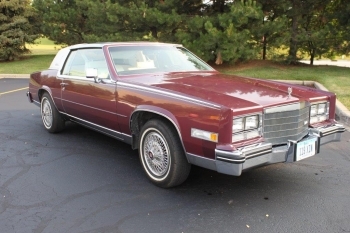 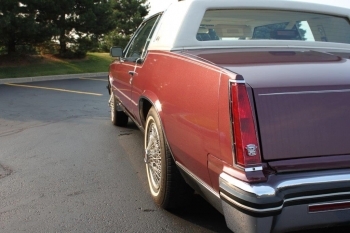 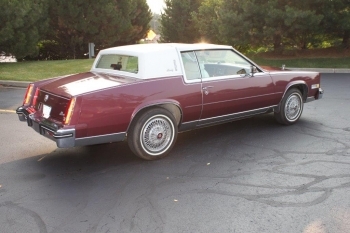 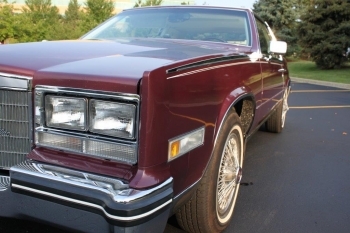 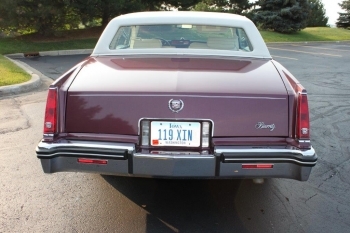 1985 Cadillac Eldorado Biarritz Coupe in Cranberry with 50-50 white leather seats, passenger power recliner, factory sliding Astroroof wrapped in stainless steel, rear window defogger, electric heated outside rear view mirrors, illuminated entry system, electric power day/night rear view mirror, illuminated passenger visor mirror, remote fuel filler door, tilt and telescopic wheel, spoked aluminum alloy wheels, twilight sentinel, guidematic headlamp control, theft deterrent system, trumpet horn. 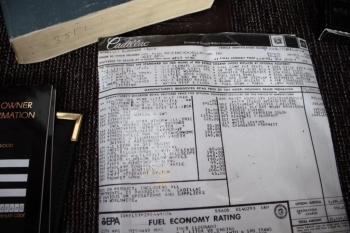 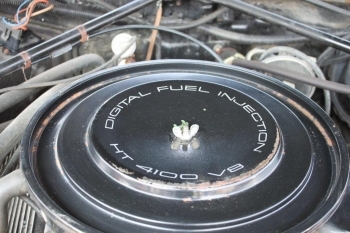 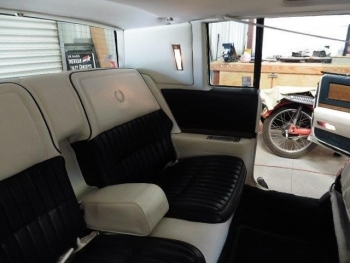 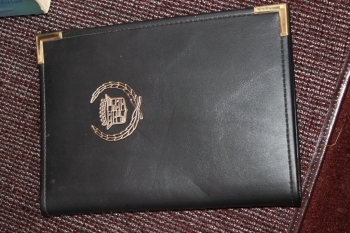 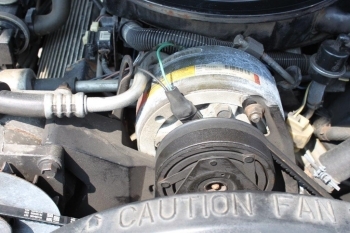 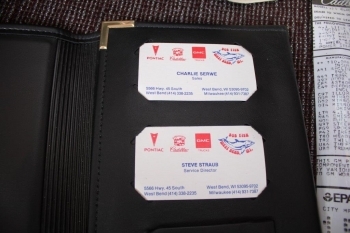 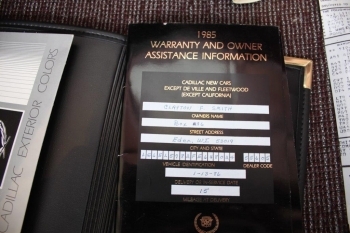 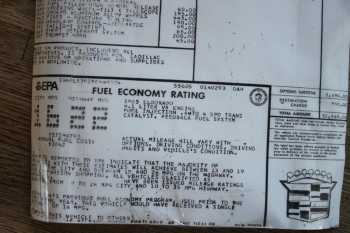 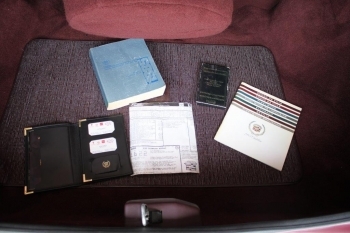 This car has its original window sticker, documents and only 28,000 original miles.